Colorado Democrats have re-introduced a bill to repeal the state's death penalty law. If it passes, Colorado will be the 21st state to ban the death penalty. The bill will get its first hearing Wednesday. If you are a Colorado voter, please email your Representative and Senator (find them here)and urge them to pass this bill. You can read the bill here and follow its progress. And send thanks to Gov. Jared Polis. Carey Dean Moore was executed this morning with a four drug concoction that included fetanyl. Nebrasks wins the title of being the first state in the country to intentionally kill someone using Fetanyl. Nevada intended to be first until stopped by a court last month. 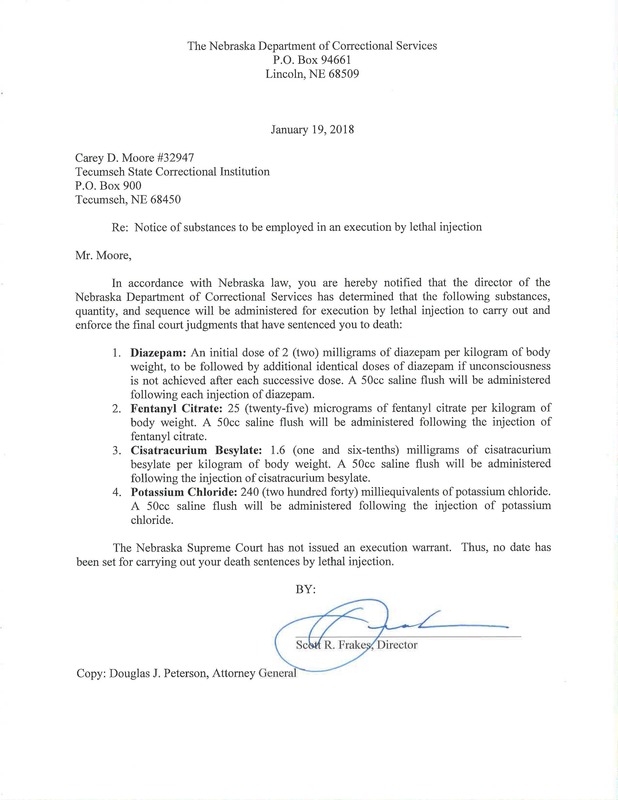 According to the Nebraska Dept of Corrections, it took 23 minutes for Moore to die after receiving the first drug. The first of four substances was administered at 10:24 a.m. The Lancaster County coroner pronounced Moore’s time of death at 10:47 a.m.
One media witness, Brent Martin of the Nebraska Radio Network, said that Tuesday's execution in the Nebraska State Penitentiary took longer than the 13 executions he witnessed in Missouri. 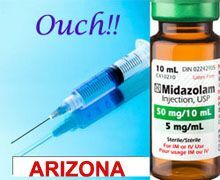 In those executions, it took about five minutes to complete the lethal injection process. About 15 minutes into the execution, ight after administering the last injection, officials closed the curtains for about 8 minutes, so the process was not as transparent as it should have been. When officials re-opened the curtains, Moore was already dead. Witnesses said his face was "darker purple, and mottled." Amnesty International has released a report on global executions for 2015. More people were executed than in any year in the past 25 years. 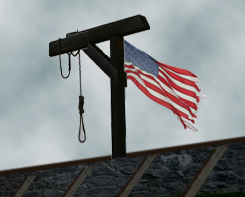 The U.S. ranks 5th in the number of people executed in 2015. The top five executioners in the world in 2015 were China, Iran, Pakistan, Saudi Arabia and the USA – in that order. Hillary Clinton today espoused her views on the death penalty. "I think that we have a lot of evidence now that the death penalty has been too frequently applied and very unfortunately in a discriminatory way," Clinton said at Saint Anselm's College. "So I think we have to take a hard look at it and a lot of states are doing that." Clinton said that the United State needs to be "smarter and more careful" about how the death penalty is applied, but that in some "egregious" cases, capital punishment is still needed. "I do not favor abolishing it, however," Clinton said, arguing that it should be used in "very limited and rare" instances. How about a moratorium then, until the system is fixed? Is it more important to kill an egregious offender or not to kill someone who was unfairly sentenced to death on the basis of race? Today it was announced ten coffins have arrived on Nusakambangan island, Indonesia's island of death. 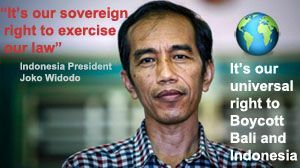 Indonesian President Joko Widodo has refused to budge on the imminent executions of drug offenders, which by all accounts will proceed as soon as possible. He has tuned out requests by leaders of Brazil, Nigeria, France, the Philippines, and especially Australia. R.I.P. Marco Archer Cardoso Moreira (Brazil), Ang Kiem Soei (The Netherlands), Daniel Enemuo (Nigeria), Namaona Denis (Malawi), Tran Thi Bich Hanh (Vietnam) and Rani Andriani (Indonesia.) Despite pleas from governmental leaders and world-wide criticism, the four men and two women were executed just after midnight in Indonesia. There are 58 more convicted drug offenders on Indonesia's death row. For background, see my earlier post today here, this from yesterday, this post from a few days ago and this one from over a year ago. Indonesia does not deserve your tourist dollars. 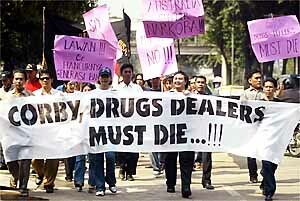 Many Indonesians support their barbaric laws against drug traffickers. This is how many on Bali reacted to Schapelle Corby's arrest for 4.4 kilos of marijuana. This weekend, six drug traffickers, including five foreigners, will be killed by firing squads in Indonesia. 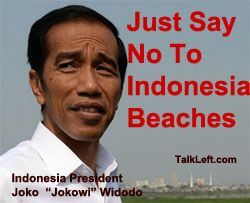 Indonesia's President has rejected requests from leading officials of Brazil, the Netherlands and Australia not to kill their citizens. A new U.N. report on the death penalty in Iraq says it is fueling the violence and a moratorium should be imposed. Judges often pass death sentences based on evidence from disputed confessions or secret informants, condemning suspects who are unaware of their rights, may have been tortured and have no defense attorney until they arrive in court, the report said. These kinds of headlines make me find 3 confirming reports before writing about them, in case there's a language difference as to the use of some words, like "crucifixion. In this case, it means what we think it means. Nimr Baqer al-Nimr, a reformist cleric, has been sentenced to death by crucifixiton , the country's harshest punishment. He will be beaheaded and his body will be tied to two perpendicular pieces of wood. He'll be strung up and his severed head will be by him. This barbarity will take place in the public square severed head will be place by him. The event takes place in town square, with the public watching. A federal judge in California has ruled California's death penalty system is unconstitutional. He says a death sentence in California is nothing but a penalty of "life with the remote possibility of death." The opinion is here. Since the penalty is so rarely carried out (no one has been executed since 2006), "the death penalty is about as effective a deterrent to capital crime as ther /> possibility of a lightning strike is to going outside in the rain." 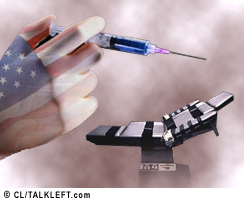 Since 1973, the U.S. has executed 1,373 people. According to the National Registry of Exonerations, 1,339 people have been exonerated since 1989, 106 of whom were sentenced to death. Only 1/3 of the exonerations involved DNA evidence. All but two of the executions were at the state level. The highest number of executions: Texas, with 512. After that: Virginia and Oklahoma (110 each), and then Florida, Missouri and Alabama. Washington Governor Jay Inslee today suspended the use of the death penalty in the state for the duration of his term. "There have been too many doubts raised about capital punishment, there are too many flaws in this system today," Inslee said at a news conference. "There is too much at stake to accept an imperfect system." The decision is part of a growing trend. Last year, Maryland abolished the death penalty, the 18th state to do so and the sixth in the last six years. Billy Slagle has been on death row since his murder conviction in 1988. He was 18 at the time of the crime. His execution date was set for Tuesday. This morning, he was found hanged in his cell. He was in solitary confinement. Cuyahoga County prosecutors joined Slagle's family in asking for a reprieve, urging [Gov. John]Kasich to commute his sentence to life in prison without parole -- a sentence the prosecutor's office said had not been available at the time. Gov. Kasich denied the request on July 24. A federal jury in Brooklyn has sentenced Ronell Wilson to death for killing two undercover cops a decade ago. Wilson was previously convicted and sentenced to death, but the Second Circuit reversed the death sentence due to prosecutorial misconduct during closing arguments. That sentence was overturned in 2010, when an appeals court ruled that prosecutors had unfairly tried to influence the jury in the case. The court specifically faulted prosecutors for arguing that Wilson's claims of remorse should be discredited because he declined to plead guilty and refused to testify in his trial.